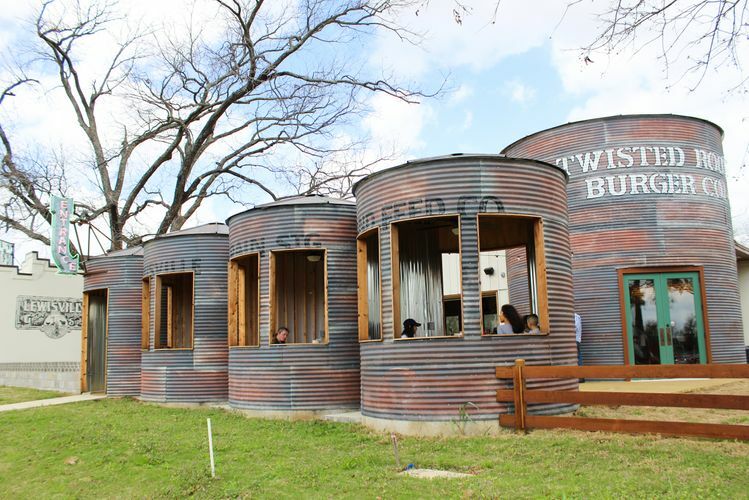 Lewisville - Twisted Root Burger Co. 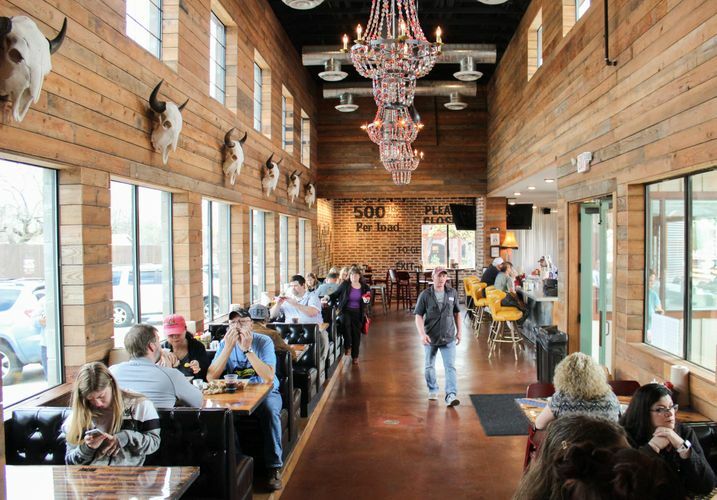 Twisted Root Lewisville is located in the heart of Old Town making us the perfect location for those fancy events that require a good burger or the ideal stop on the way home. 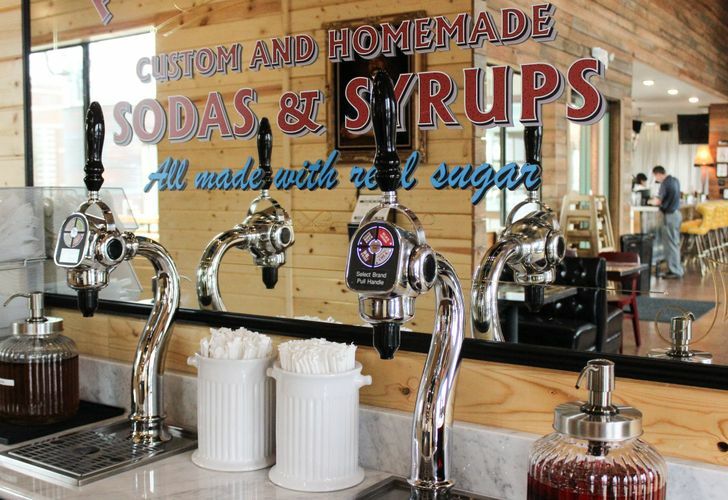 We provide a unique interactive experience with our old school soda fountain ready for your use! And feel free to leave your mark by leaving us your awkward family photos to hang on our walls! 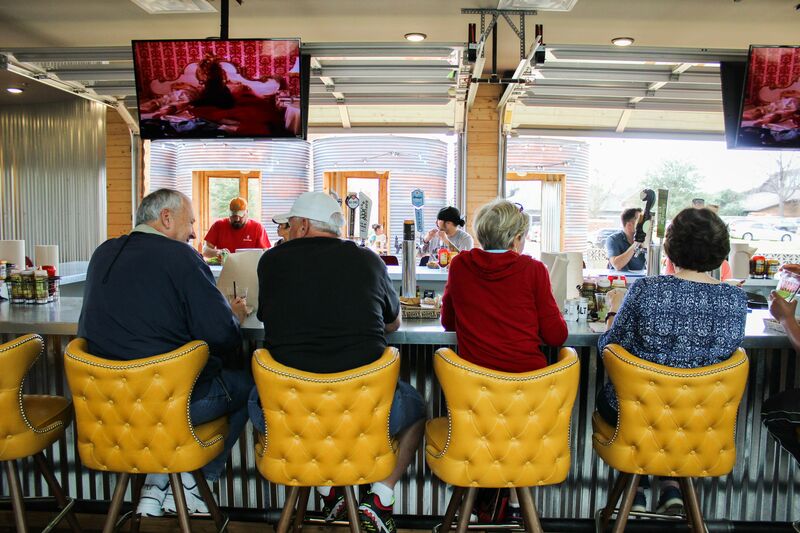 Here at Twisted Root Lewisville, you can belly on up to the 360 bar to enjoy those adult drinks or go out and relax on our spacious pet-friendly patio. 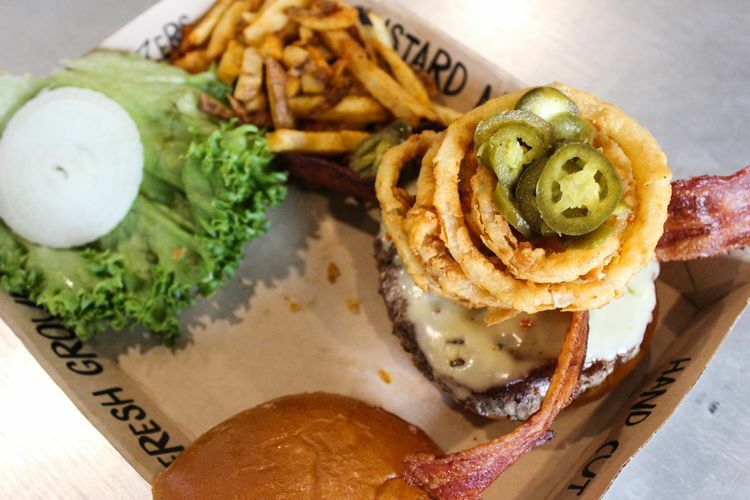 Whatever you choose Twisted Root Lewisville is here to satisfy every craving for any occasion. Download the Lewisville menu here.